Check out Tobi's Fair Play Blouse Get ready for take off. The Fair Play Wine Blouse paired with the This Love Thing Wide Leg Pants will be your new favorite vacay set. This deep v top features a surplice construction and beautiful cuffs creating a relaxed, flowy silhouette. 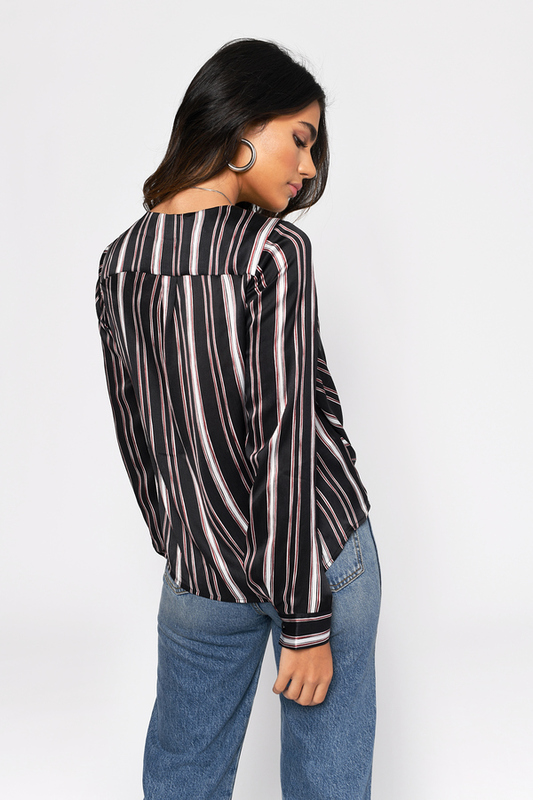 This striped blouse will also look stunning tucked in high waisted pants and a drop necklace. Get ready for take off. The Fair Play Wine Blouse paired with the This Love Thing Wide Leg Pants will be your new favorite vacay set. This deep v top features a surplice construction and beautiful cuffs creating a relaxed, flowy silhouette. 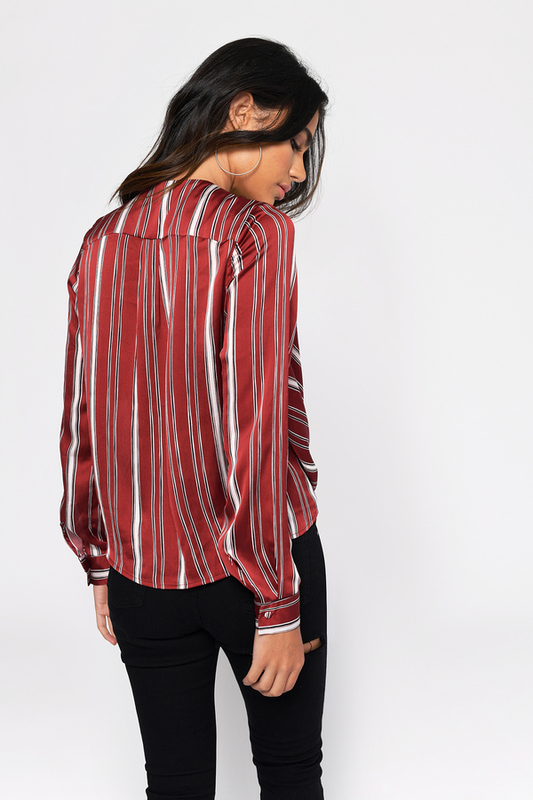 This striped blouse will also look stunning tucked in high waisted pants and a drop necklace. Get ready for take off. The Fair Play Black Blouse paired with the This Love Thing Wide Leg Pants will be your new favorite vacay set. This deep v top features a surplice construction and beautiful cuffs creating a relaxed, flowy silhouette. 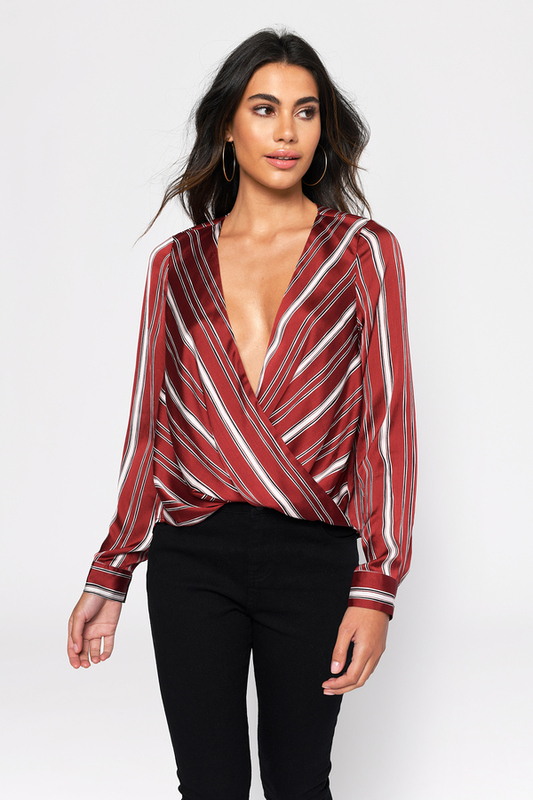 This striped blouse will also look stunning tucked in high waisted pants and a drop necklace.